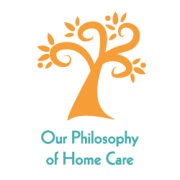 As a WA State Licensed Home Care Agency, and employment service, we match qualified people to provide essential services for elders and people with special needs. These services may be visits, hourly shifts, overnight or 24 hour live-in care. Q. Who needs in home care services? Seniors or adults who cannot perform the activities of daily living in order to function throughout the day or night. Their needs may be due to an injury, a change in health or simply aging in place. They may need extra care and assistance to remain in their home. Perhaps the spouse or partner who cares for an ailing person may need some time off. We do offer temporary help as well. Q. Can we hire a caregiver through your agency as our own employee? Yes, we do offer this option in hiring caregivers through our registry services as an employment agency. You may interview and hire one of our caregivers as your direct employee. Please contact us to discuss the pros and cons of this option. Q. Does insurance cover these costs? Insurance rarely cover these costs, however, call our administrators. We can help you to determine if your Long Term Insurance will cover in home care. We do request that you pay for services and get reimbursed from your insurance company. For Medicare or Medicaid recipients, we can direct you to another Certified Licensed agency. Q. Where is Care At Home's service area? 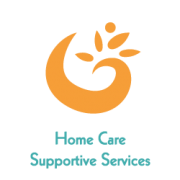 Care At Home of WA covers the Greater Seattle area including other parts of King, Pierce and Snohomish Counties. The owner and administrators have been in the Home Care industry since 1987. Our Seattle office opened in 1992. 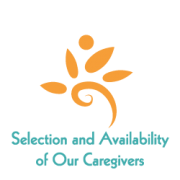 It is important to us that you have the same caregiver. That continuity of care creates bonds of trust and comfort. When full care is 7 days a week, there are 2 caregivers with a possible 3rd as backup. But we do not rotate different caregivers with one client. Q. What if we don't like the caregiver you recommend? If time allows, you will have the opportunity to interview the Caregiver before services begin. We make every effort at being good match-makers. If for whatever reason, you would like to make a change in personnel, we will make every effort at arranging another care provider for you. Q. What if someone calls in sick? What about weekends? If your Caregiver is unavailable due to illness or a personal emergency, we will assist in providing back up staffing. The agency is on call 24 hours a day, 7 days a week. Our staff knows to always contact the agency when they cannot make it to work. They will never come to work with a cold or feeling sick. Q. How do I set up services? Can we meet you first to see if this is what we need? We can arrange for a Care Manager to conduct a free consultation and explain our services in detail. Together we can design a personalized care plan with the input of your current support team or family members. We can then arrange for caregiver interviews with appropriate personnel whose skills best meet your needs.